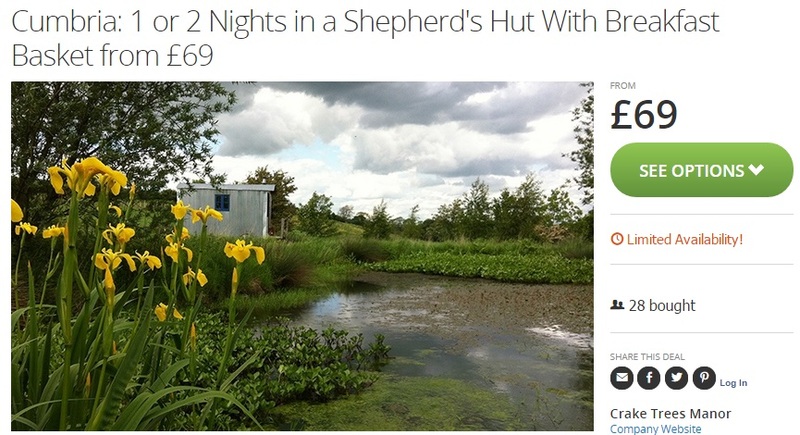 Waiting for the right Glamping Trip to come up? 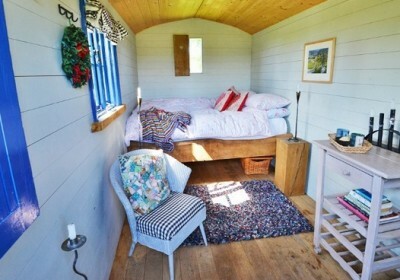 Check out these pretty little Shepherd Hut nestled in the Cumbrian Countryside. Over at Groupon you can pick one up for as little as £69 which includes a welcome basket ! Overlooked by the Pennines and the Eden Valley, Crake Trees Manor sits snug within rolling fields and open farmland, popular with the local wildlife. A 30-minute drive brings guests to the scenic town of Penrith, where sights of interest include Lowther Castle and Gardens, as well as Long Meg And Her Daughters Stone Circle, which dates back to around 1500 BC. Based on traditional 19th century English huts originally used by farmers during the lambing season, the shepherd’s hut has been lovingly made from steel and wood for an insulated finish. Alongside cosy, Scandinavian decor, the hut includes a bed, a stove and a stable door. For relaxing purposes, all guests will have access to a warm shower room and toilet, plus access to a room attached to the farmhouse with a fridge, a TV, a kettle, and space to dry outer garments. Each morning a breakfast basket will be brought to the hut, filled with supplies to kick-start the day. Alternatively, guests can opt to upgrade to a full English breakfast for a £10 per person per day surcharge, which can be enjoyed in the on-site farmhouse.